I picked up a sweet Godzilla miniature (1964 version). 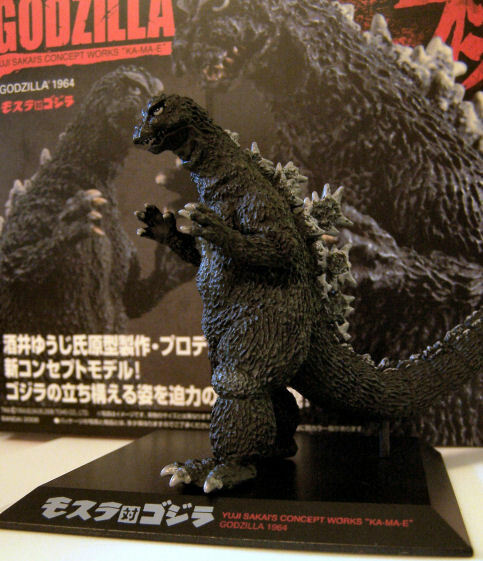 I’ve always wanted a miniature Godzilla model, and this this is perfect! For some strange reason, the model came with a single, wrapped, chiclet-sized piece of gum. I don’t know why. 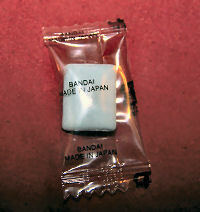 The box is all in Japanese — so that’s no help — but there was a web address on the box with the word “candy” in it. I never bothered to check it out since the site is probably all in Japanese anyway. Just when I think the Japanese could not be any weirder. I’m a little scared to try the gum. I’m not quite sure what to expect. I can’t think of any reason why there should be one piece of gum packaged in a model like this. Is it the model designer’s favorite gum? Is it Godzilla-flavored? Will I turn into a giant monster if I eat it? Who knows? 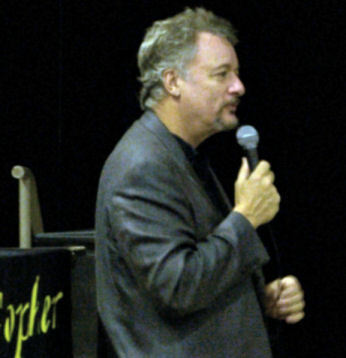 I also listened for a while on a Q and A segment given by John de Lancie (Q, from Star Trek the Next Generation). I only happened by the talk as we were exploring the convention floor. I regret not having the time or energy to listen to the whole thing; he was very interesting. I had no idea the first original Star Trek show he ever saw (which he watched during his tenure on ST:TNG) was the infamous “Spock’s Brain” episode. What a first impression! 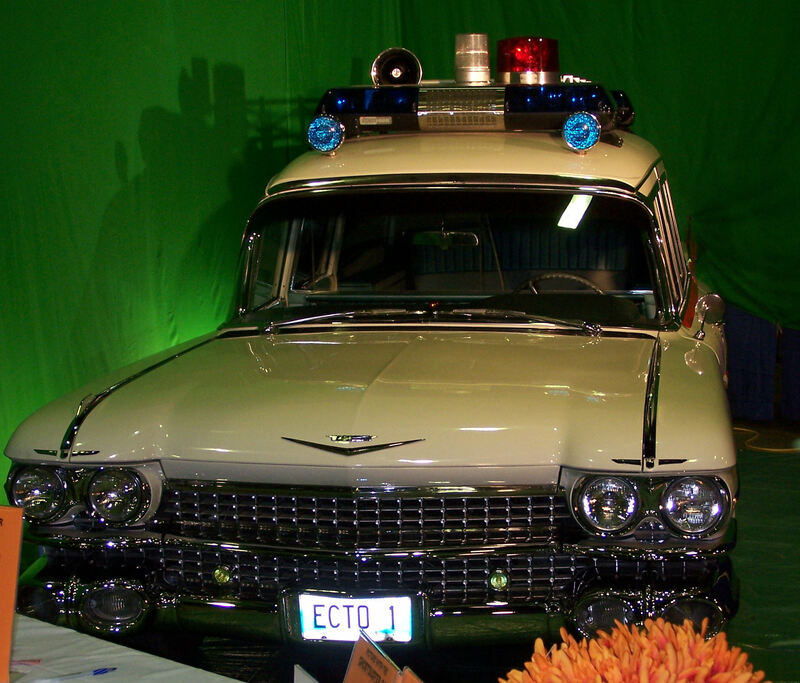 There was also a locally made replica of the ECTO-1 from Ghostbusters at the con. 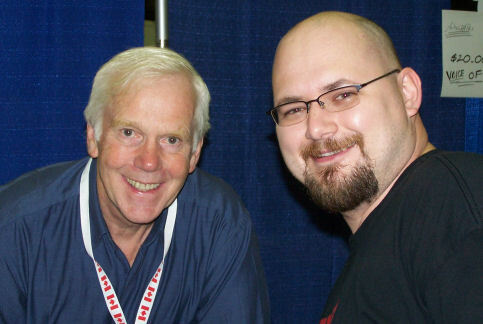 However, greater than the costumed bounty hunter was the actual “Fett man” himself: Jeremy Bulloch! 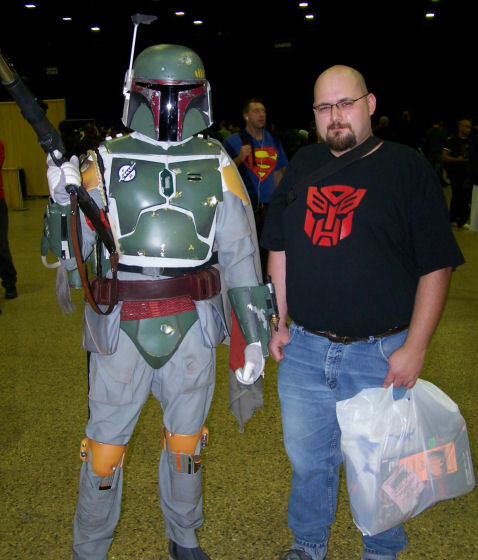 Me with the REAL Boba Fett! 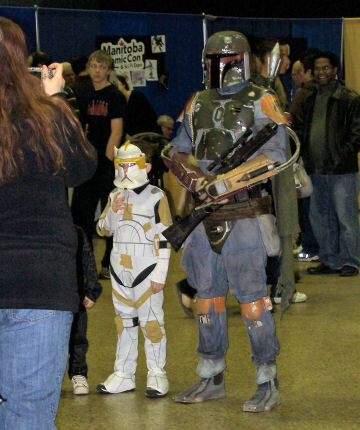 Meeting the actual Boba Fett was the highlight of the convention. I chatted with him a bit at his booth. He is a really cool guy. I have to admit it was a little intimidating meeting someone famous, but once you get to know them they are just like you and me: easily killable via falling piano trap. 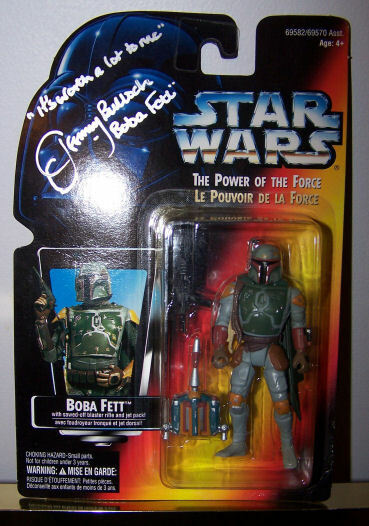 I was a little surprised with how knowledgeable he was regarding the rarity of some of the Boba Fett action figures. Apparently the version of the figure I got him to sign was one that was hard to get in England. Now I have to get a proper protective case for this thing! BTW, to put the phrase I asked him to write (which ellicited a laugh from him and his wife) into perspective: one of his four lines in The Empire Strikes Back was “He’s worth a lot to me!”. Lastly, regarding the convention: man, oh, man the comics and toys! So many things to see! I can’t believe how much stuff there was. Next time I’m bringing more money.